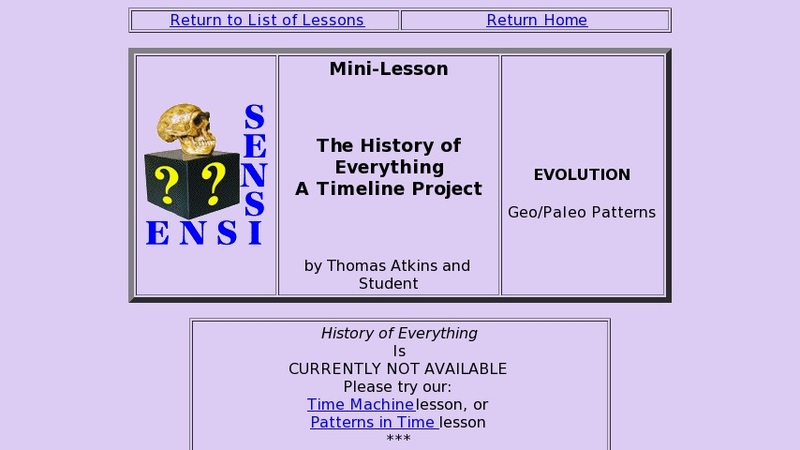 These procedures for creating a timeline from the Big Bang to the present include directions and images suitable for all major events in time, downloadable so they can be copied and made available to students to build. Scale is 1 mm = 1 million years. Users have the option of starting at the Big Bang or the beginning of our solar system.